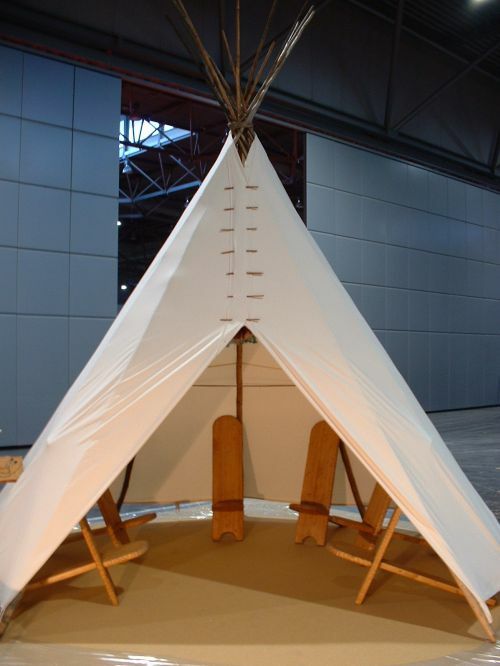 Originally the tipi was used by nomadic people of the plains because it was easy to put up and down. The conical tent is perfectly suitable for living in the great outdoors. 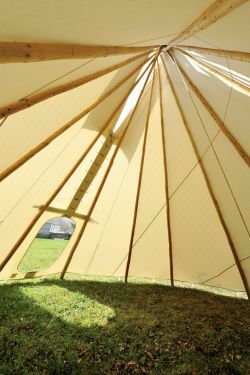 Since it is light, good aired, cool in the summer, warm and comfortable in the winter, rainwater runs out well and it stands stable in the wind. One tipi housed one family with up to seven members. The tipi is always round and tipis in a tipi village are always arranged in a circle. 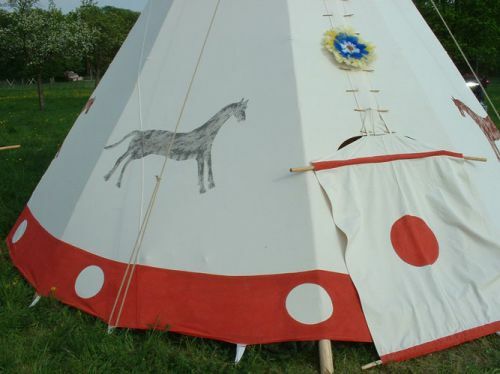 The tents were often decorated with red or coloured bands or they were painted with symbols and scenes of the owners life. The Indians are happy people. 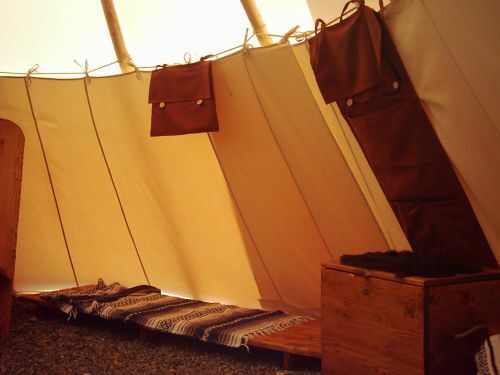 If the tipi entrance is open, it means: Come in! They are sitting in a circle and telling stories. It´s also possible to play funny games in - and outside of the tipi.